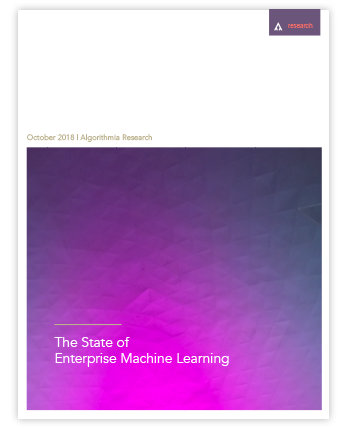 We surveyed over 500 Machine Learning professionals to understand how the industry is reacting to Machine Learning, its adoption in the marketplace, how businesses adapt, and how the industry is evolving. Companies are rapidly maturing in the Machine Learning space. Rapid improvement in compute, data availability, and storage capabilities have precipitated a race to leverage Machine Learning as a competitive advantage. Our survey found out how organizations are keeping up. Algorithmia empowers every developer and company to deploy, manage, and share their AI/ML model portfolio with ease. In addition to the Algorithm Marketplace, Algorithmia uses the serverless AI Layer to power our Hosting AI/ML Models and Enterprise Services.